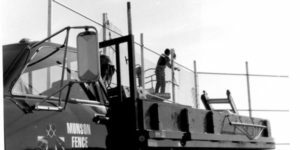 winter weather Archives - Munson, Inc.
MUNSON TENNIS & TRACK DIV. Why do some sealers always wear so well? Trust comes from having a good reputation, what people say about us. 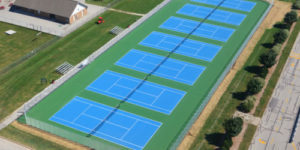 If Your Tennis Courts Need Repair, Do You Understand All the Options Available? I worked on three concrete projects and two fence project with Munson and I am an extremely satisfied customer. Munson is a great company! I worked on three concrete projects and two fence project with Munson and I am an extremely satisfied customer. The first project was removing and replacing our narrow sidewalks with wider sidewalks. The second project was replacing a section of our concrete floor that had sunk and the third was sinking our pallet wrapper into the ground and building a concrete frame to support it. The fencing projects one was exterior and one interior for a tool crib. I would highly recommend Munson for large and small projects. Very professional and great service and work!! Very professional and great service and work!! Would highly recommend them. People are so happy to have a decent, safe space for parking. Munson, Inc. paved a very bad church parking lot here at St. Francis Church in Milwaukee. And the product is wonderful. People are so happy to have a decent, safe space for parking. And the slope of the lot made for an excellent handicap-accessible entrance into the church. Even neighbors were high in their praise for the betterment in appearance for the area neighborhood! Parking lot paving was done on time and on budget! Parking lot paving was done on time and on budget! They worked cleanly and left no trace. We were very pleased with the work and would strongly recommend! Helpful, friendly on budget, on time and a great job. These guys have been around as long as I remember. 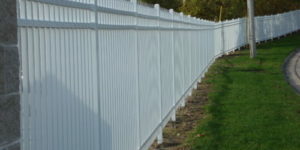 When it comes to fencing, they had the quality and professionalism I desired and I'm so glad I went with Munson. I will repeat my business with them hands down. Thanks so much! Munson is one of the most professional, friendly, customer oriented companies I know of! Munson is one of the most professional, friendly, customer oriented companies I know of! They are family owned/operated and all jobs are done with pride, care, and excellence!. 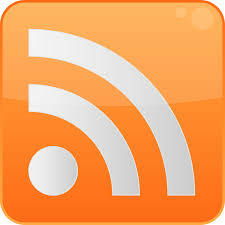 I refer Munson to everyone who has a need for their services without reservation! Do it ONCE, do it RIGHT! You won't regret it! I would recommend Munson over and over again!! The guys at Munson have always been very helpful and professional! I would recommend Munson over and over again!! THANKS GUYS FOR YOUR A+ SERVICE AND QUALITY!! The concrete and asphalt teams were hardworking and did a great job. I definitely recommend Munson! 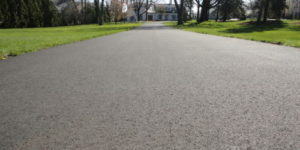 Just had my asphalt driveway and concrete walkway completely taken out and replaced by Munson. Very happy! Eric responded to my MANY emails and was very personable. The concrete and asphalt teams were hardworking and did a great job. I definitely recommend Munson! Munson has come up with creative and cost effective solutions that met our needs. I am pleased to offer a letter of recommendation for Munson's concrete crew. They have completed many projects at our Milwaukee facilities over the past four years. Safety and security at our facility is of the utmost importance considering the business that we are in. 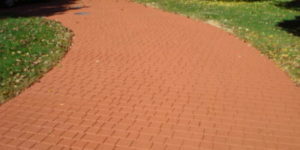 Regardless of the size of the project, their commitment to a safe and successful project has been quite evident through their excellent communication bot with the customer, the City of Milwaukee, and the other contractors involved in the projects. 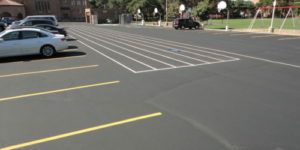 The projects that Munson has completed for Hydrite have varied from as simple as striping our parking lots to as large and complex as a security fencing upgrade. The security upgrade included doubling the size of our main approach from the street so two semi trucks could access our drive at the same time along with the installation of three access controlled gates with exit sensors. All of this work was accomplished with no interruption to our normal operations. In addition to the more standard projects, as listed above, I have even had projects that were not sure how to accomplish what was desired and Munson has come up with creative and cost effective solutions that met our needs. 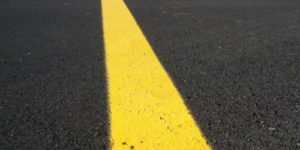 Regardless of the size of the project, their commitment to a safe and successful project has been quite evident through their excellent communication bot with the customer, the City of Milwaukee, and the other contractors involved in the projects. We will certainly contact Munson when we have future asphalt work. You guys did a great job. Both the owner of the property and our leasing agents have commented on how nice the lot and building look since you seal-coated and striped the lot. We will certainly contact Munson when we have future asphalt work. Please extend our thanks to the crew for their hard work. Brian: You guys did a great job. Both the owner of the property and our leasing agents have commented on how nice the lot and building look since you seal-coated and striped the lot. We will certainly contact Munson when we have future asphalt work. Please extend our thanks to the crew for their hard work. 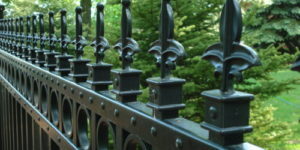 I am pleased to offer a letter of recommendation for Rob Fetherston of Munson Inc. for the concrete, asphalt, and security fence work that they have completed for over 30 years for RockTenn at 1900 West Cornell St, Milwaukee, WI. In the past three years while I was Plant Manager, I found Munson to be extremely responsive and cooperative in working with our busy production schedules to complete the job with the least amount of disruption to our operations. Projects ranged in size from very small, such as adding a new gate to our parking lot, to very large, such as leveling and resurfacing our employee parking lot. Jobs were performed efficiently, on schedule, and safely. To whom it may concern: I am pleased to offer a letter of recommendation for Rob Fetherston of Munson Inc. for the concrete, asphalt, and security fence work that they have completed for over 30 years for RockTenn at 1900 West Cornell St, Milwaukee, WI. In the past three years while I was Plant Manager, I found Munson to be extremely responsive and cooperative in working with our busy production schedules to complete the job with the least amount of disruption to our operations. Projects ranged in size from very small, such as adding a new gate to our parking lot, to very large, such as leveling and resurfacing our employee parking lot. Jobs were performed efficiently, on schedule, and safely.